Learn how to draw this cute bunny rabbit. Learn how to draw a bunny rabbit following these easy steps. When learning how to draw animals, it's a good idea to start with a real model or a reference photo. I chose this picture for the bunny rabbit we are going to draw. It's a nice pose, cute, and ideal for an Easter bunny. Choose a clear, large photo to draw — you want to see the fur texture and the highlights in the eyes. Begin the bunny drawing by looking for simple shapes. How do we begin to draw such a complicated thing as a rabbit? One popular method is to look for big, simple shapes. A simple start is to look for a couple of big circles in the rabbit's body and a smaller circle — usually with joining parts of circles — for the head. Here are the simple shapes I see when looking at this rabbit. Construct the bunny shape with basic circles. Here's what the bunny's basic shapes look like on paper. First, draw a vertical line to help keep your circles straight. Then draw two overlapping circles, one above the other, then a big oval underneath, touching the first circle. Then draw a bigger oval at an angle. They don't have to be perfect — you can draw them freehand, or use coins or a circle template if you have one. Make your lines very light — I draw this dark so you can see them on screen. Adding the bunny's ears, feet and tail. Now draw the bunny rabbit's ears — quite straight, narrowing at the top. This rabbit has tall ears, and they are much easier to draw than a lop-eared bunny's ears are. The main thing here is to look carefully at your photo and remember the shape. Draw lightly so that you can easily correct mistakes without having lines dug into the paper. Draw curving-in lines for the bunny's front legs, then add the back leg and tail, copying the shapes I've drawn. Draw the rabbit's face. H South, licensed to About.com, Inc.
Now I've erased the extra parts of the circles that I don't need for the finished rabbit drawing. Now add the bunny rabbit's face and eyes. The eyes are on the side of the bunny's head, so are seen from the front as half-circles. 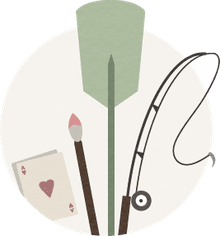 This can make them a little bit tricky to draw, as we tend to think of eyes as round or angled a certain way, to be careful to draw what you really see, not what you think they should look like. To complete the face, draw the rabbit's nose like a letter Y, adding the soft curves of mouth, chin, and cheeks. Drawing the rabbit's fur and whiskers. 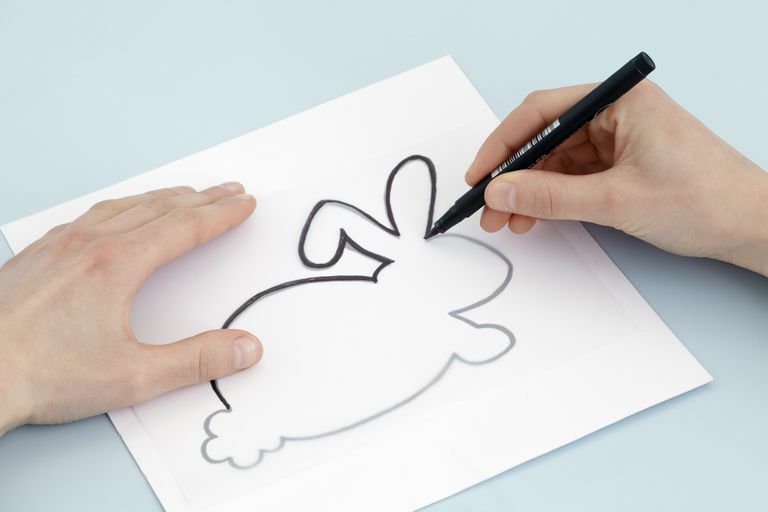 To finish off your rabbit drawing so it looks soft and fluffy, you might want to gently erase some of your outlines so that you can just see them, or lightly trace your drawing onto a fresh sheet of paper. Look at the rabbit reference photo to see how the fur looks, and use a combination of long and short lines along your outlines, to create the effect of soft fluffy rabbit fur. If you want to be able to 'fill' your drawing with using graphics software later, you'll need to draw with a 'zig-zag' motion so that you still have a continuous outline. Where you can see lines or dark areas on the rabbit's body, you can add some scribbly fluff too. Try short, flick marks. Then finish off by adding long whiskers on face and eyebrows.